Lowell Keyes, age 83, of Aurora, passed away on Thursday, March 23, 2017, at his home in Aurora. Funeral Services will be held at 1:30 P.M., Monday, March 27th at the Evangelical Covenant Church in Aurora. Rev. Karl Larson will officiate. Interment will be in the Aurora Cemetery. Visitation will be from 5 to 7 P.M. Sunday at the Evangelical Covenant Church, 1009 1st St., Aurora. Memorials may be made to the Evangelical Covenant Church. Higby-McQuiston Mortuary is in charge of arrangements. Condolences may be e-mailed to the family through the mortuary website at www.higbymortuary.com. 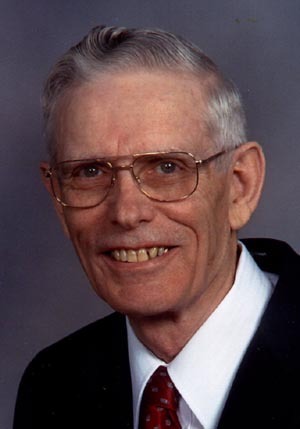 Lowell Arlin Keyes was born April 8, 1933 at York, NE to George W. and Marion J. (Otis) Keyes. He attended country school at District 63 north of York and graduated from York High School in 1951. While in high school he participated in track and called square dances. He also learned to play the guitar and harmonica and performed quite often in Church and other gatherings. He worked on a farm south of Polk during the summers while in high school and full time after he graduated. On April 25, 1954 Lowell was united in marriage to R’Lou Mae Erickson at the First Baptist Church in Hordville. Following their marriage, they lived in Polk, Hamilton, and York counties where they had farmed and Lowell worked in manufacturing. They lived at Hordville several years when Lowell was a mechanic in the Polk-Hordville area. He was an active member of the First Baptist Church of Hordville while they lived in that area. In 1965 they moved to Aurora. His employment there was shop foreman at the Hamilton County Shop. He later became owner-operator of the Sinclair Station in downtown Aurora, insurance salesman, and draftsman for Bonnavilla Mobile Homes. He worked for Century Mfg. Co. (Arjo) for 17 years. He received the Operation Able award honoring him for his outstanding achievements throughout his career. He was an Electronics Assembler the last several years there before declining health caused him to have to take early retirement. Lowell was a member of the Evangelical Covenant Church where he had served in several positions. He helped with the Boy Scouts and Cub Scouts when his sons were in scouting. Lowell enjoyed spending time with all of his family and many gatherings with extended family. He especially enjoyed his grandchildren and great grandchildren and attended the many activities of all of his family when he was able. He did woodworking as a hobby, building many special items for the family including doll houses, doll cribs, and machine sheds for the grandchildren. He spent many hours listening to gospel and country music and watching sports on TV. Those left to cherish his memory include his wife of over 62 years, R’Lou; two daughters, Leanne (Charles) Gustafson and Sherri (Rick) Miller all of Aurora; two sons, Lyndon (Lauryn) Keyes of Richmond, IL and Lennis Keyes of Phoenix, AZ; six grandchildren, Angela (Stephen) McRostie of Commerce City, CO, Lisa (Tyson) Toews of Owasso, OK, Jeremy (Amy) Miller of Aurora, Jenna Miller of Lincoln, Licia (David) Radford of Spring Hill, TN, and Laine Keyes of Anacortes, WA; nine great grandchildren, Malorie, Connor and Megan McRostie, Audrey, Hannah and Marcus Toews, Avery and Atley Miller and Simon Radford. Sisters, Betty Foxworthy of Ogallala, Katherine Merchant of York, Marilyn Poppe of North Platte, one brother; James Keyes of Geneva, sister- in- law Emiko Keyes of Grandview, MO, step-sister Marlene (Larey) Crawford, of Phillips, step–sister-in- law Donna Fowler of Omaha and many nieces, nephews, cousins and friends. Lowell was preceded in death by his parents; brothers, Robert Keyes and infant brother William Keyes; sisters, Ruth Wood and Doris Harris and step-mother; LaVerda Keyes.